Here are key dates in relations between Taiwan and mainland China since 1979, when the US severed diplomatic ties with the island. Since the Chinese civil war ended in 1949, Beijing and Taiwan have each gone down separate paths of political systems, governance, and development. Mao Zedong's communists took power in Beijing in October 1949 after defeating Chiang Kai-shek's Kuomintang (KMT), who fled to the island of Taiwan and formed their own government in Taipei in December, cutting off contacts with the mainland. Since that time, the mainland has never ceded on its vision to fuse the two together - which gained momentum when the United States severed diplomatic ties with Taiwan in 1979. China has always seen Taiwan as part of its territory to be reunified. However, Taiwan's constitution claims ownership of the Chinese mainland, and the island's flag remains unchanged from that of the mainland before 1949. Soldiers perform flag-lowering ceremony at the Liberty Square in Taipei, Taiwan, 20 December 2018. On January 1, 1979, the US cut diplomatic ties with Taiwan and recognised the communist mainland as the only representative of China. On the same day, China's top legislative authority, the National People's Congress, issued the 'Message to Compatriots in Taiwan' which stated: "Reunification of China today is consonant with popular sentiment and the general trend of development." China also stopped its military action against Taiwan's offshore island of Kinmen on the same day the message was issued. The Message to Compatriots marked a shift in China's policy on Taiwan, from "liberation by force" to "peaceful unification". During this time, the Chinese government also initiated the opening up of 'Three Links' between the two sides, which focused on transportation, trade and postal services. Since the Message to Compatriots, Chinese leaders from Deng Xiaoping to Xi Jinping have each brought forward their own policies for "unification" with Taiwan. A billboard shows former Chinese Commumist Party leaders Mao Tsetung (L), Deng Xiaoping and Jiang Zemin (R). On October 1, 1981, General Ye Jianying, the Chairman of the Standing Committee of the National People's Congress, proposed nine guidelines for a "peaceful reunification" with Taiwan. The general promised the island a “high degree of autonomy as a special administrative region,” as well as the retention of its armed forces, socio-economic system, way of life, and economic relations with foreign countries. "It is the urgent desire of the people of all nationalities on both sides of the strait to communicate with each other, reunite with their relatives, develop trade and increase mutual understanding," the proposal read. "We propose that the two sides make arrangements to facilitate the exchange of mail, trade, air and shipping services, and visits by relatives and tourists as well as academic, cultural, and sports exchanges, and reach an agreement thereupon." Taiwan rejected the proposal put forward by Beijing and President Chiang Ching-Kuo instead established the 'Three-Noes' policy, reiterating that there were to be “no contact, no compromise and no negotiation” with the communist mainland. An online contest to determine the most representative Chinese character for Taiwan in 2018 has been selected from a list of 53 entries. Ye Jianying's proposal was interpreted as a policy of "one country, two systems" by Deng Xiaoping, who led China through its expensive market-economy reforms of the 1980s. Deng's policy towards Taiwan was announced during a meeting with Yang Liyu, an Asian studies Professor of Seton Hall University, on June 25, 1983. Deng clearly ruled out the possibility of "complete self-governance" for Taiwan and emphasised the 'one China' policy - a policy saying that there is only one country of China, despite the fact that there are two governments. He stated that "so long as Taiwan returns to the embrace of the motherland, we will respect the realities and the existing system there". He also pointed out that the stance regarding Taiwan was different from the governance of Hong Kong. He stated that Taiwan can have its armed force and final adjudication, and that Beijing would not send any personnel to Taiwan and that the National Government and Congress of China would reserve seats for Taiwanese representatives. Taiwan again responded by pressing the agenda of the 'Three Noes' policy. China's top leader Deng Xiaoping, then 88, center, chats with Communist Party General Secretary Jiang Zemin, left, while Chairman of the Legislature Wan Li. The politics of Taiwan significantly changed in 1987. The lifting of martial law was proclaimed by President Chiang Ching-kuo on July 14, 1987, which was followed by the liberalisation and democratisation of the island. Its National Assembly was re-elected in 1991. One year later, the parliament was reelected (these moves preceded Taiwan's first direct presidential election in 1996). During this period, Taiwan's fight for independence gained traction. In order to pacify the political faction urging unification with China and suppressing the independence movement, Taiwanese President Lee Teng-hui introduced The Guidelines for National Unification on February 23, 1991. The guidelines reiterated that: "Both the mainland and Taiwan are parts of Chinese territory. Helping to bring about national unification should be the common responsibility of all Chinese people." The document also stressed that unification must "first respect the rights and interests of the people in the Taiwan area, and protect their security and welfare". In 1994, and despite the guidelines, President Lee revealed his pro-independence stance for Taiwan in a meeting with a Japanese writer. On January 30, 1995, the General Secretary of the Communist Party of China, Jiang Zemin, responded by announcing the 'Eight-Point Proposal' on China's reunification. He drew a line for China's Taiwan policy, stating that the mainland should stick to its 'one China' policy. Again, he urged "peaceful unification" and phrased the most famous quote: "Chinese people don't attack other Chinese people." But in 1995 Beijing suspended talks in protest at a visit by the Taiwanese president to the United States. Tensions were at fever pitch in 1996 when China conducted a series of missile tests in the waters surrounding the island, an event known as the Third Taiwan Strait Crisis. Picture from March 25, 1996, showing warships launching missiles to clear a beach head during a mock attack on Taiwan. In the decade following the Taiwan Strait Crisis, tensions between the two sides eased and diplomatic exchanges accelerated. The 30th anniversary of the 'Message to Compatriots in Taiwan' was held at the end of 2008 at Beijing's Great People's Hall. President Hu Jintao took this opportunity to announce six key policies regarding Taiwan. It's important to note that after a 1992 meeting between China's President Hu Jintao and Lian Zhan, the leader of the Opposition in Taiwan, a document known as the “1992 Consensus” was written into the government documents in China. The so-called “1992 Consensus” referred to that both sides would recognise that there was only 'one China' - that both, the mainland China and Taiwan, belonged to same China, but both sides would agree to interpret the meaning according to their own definition. A blurred political definition of 'one China' became a tacit understanding for both sides. President Hu's Six Points Proposal was considered as new guidelines towards Taiwan during times of peace. He proposed that mainland China and Taiwan should "reach a peace agreement". Taiwanese President Ma Ying-jeou, who adhered to the "1992 Consensus," rolled out his response to President Hu with a positive attitude. In 2009, President Ma acknowledged the goodwill of the mainland for developing bilateral relations and urged the two governments to initiate economic negotiations, which resulted in the Economic Cooperation Framework Agreement, a free-trade agreement between the two sides. The two sides reached the understanding, which steered the focus onto prosperity over political dissent. Chinese President Xi Jinping (R) and Taiwan President Ma Ying-jeou wave to the crowd of media before their historic meeting at Shangrila hotel in Singapore. In 2015 the leaders of both sides met in Singapore, shaking hands and waving enthusiastically to a huge press throng but refraining from any joint statement. It was the first meeting between the leaders of the two sides since the communists Party took power in 1949. In January 2016 Taiwan's opposition candidate Tsai Ing-wen, from the traditionally pro-independence Democratic Progressive Party, won the presidential election. The day of her inauguration in May, Beijing warned that peace would be "impossible" if the new president made any moves to formally break away. In June that year, China suspended all communications with Taiwan after the island's new government failed to acknowledge the concept that there was only "one China". In December 2016 US president-elect Donald Trump broke with decades of US diplomatic policy by speaking directly, by telephone, with Taiwan President Tsai Ing-wen. In 2017 Trump's administration approved $1.3 billion worth of arms sales to Taiwan. In March 2018 the US adopted a law reinforcing ties with Taiwan, again angering China. On January 2, 2019, Chinese President Xi Jinping gave a speech during the commemoration event marking the 40th anniversary of the Message to Compatriots in Taiwan. In it, he said Taiwan's unification with the mainland was "inevitable", and warned against any efforts to promote the island's independence. He said China would not renounce the option of using military force to bring it into the fold. "China must and will be united... which is an inevitable requirement for the great rejuvenation of the Chinese people in the new era," he said. "We make no promise to give up the use of military force and reserve the option of taking all necessary means" against Taiwanese separatist activities and "outside forces" that interfere with reunification, President Xi said. In his speech, Xi described unification under a "one country, two systems" approach that would "safeguard the interests and well-being of Taiwanese compatriots". Taiwan President Tsai Ing-wen responded swiftly, saying: "I hereby reiterate that Taiwan will definitely not accept 'one country, two systems'." "Democratic values are cherished by the Taiwanese people, it's their way of life," President Tsai told reporters in a press conference arranged in response to Xi's speech. She also accused Beijing of provocations that strained people's "emotional connection" to the mainland such as "buying off" Taiwan's few diplomatic allies and increased military drills near the island. Taiwan's foreign ministry released a terser response. "If the Chinese government cannot treat its own people kindly, cannot guarantee human rights and will not let its own people vote... then Taiwanese will look at China's intent with suspicion," it said. Taiwan President Tsai Ing-wen has refused to acknowledge that the self-ruled island is part of "one China". In a landmark speech on last Wednesday, Xi Jinping, the President of China, described Taiwan's unification with the mainland as "inevitable," reiterated China’s willingness to use force if necessary, especially if Taiwan ever declares full independence. On last Saturday, Taiwan's leader Tsai Ing-wen criticised Beijing's plan to engage in political negotiations with opposition parties rather than her government. Shen Du, host of “Zhou's Talkshow”， told SBS Mandarin that "Taiwan's unification with the mainland" needs a long-term view. Chinese President Xi Jinping is urging Taiwan to accept it will soon be reunited with China. In a speech marking 40 years since the start of improving ties, Mr Xi reiterated calls for peaceful unification, but also warned that China reserves the right to use force. In response, Taiwanese president ((ms)) Tsai Ing-wen says she will never accept reunification under the terms being offered. 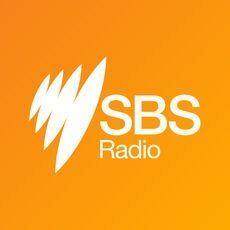 Mr. Xiaoming Xue, studying for the doctor degree of Political economy in Sydney University, told SBS Mandarin that serious consequences can not be avoided if China, the United States and Taiwan made misjudgments on the Taiwan issue.